The Blast are returning to takeover Motion on Boxing Day and this year we are joined by SASASAS to present NXT LVL. 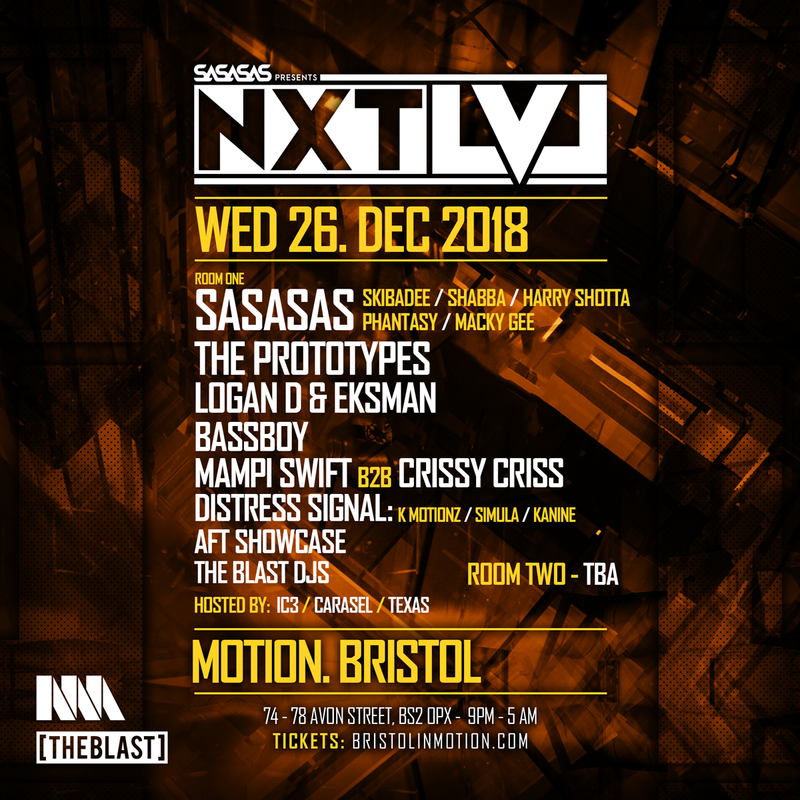 Curated alongside the members of SASASAS, we’re bringing a monster multi genre line-up featuring drum & bass legends such as The Prototypes, Logan D & Eksman, Mampi Swift b2b Crissy Criss. Bassline don Bassboy, the debut Bristol set from brand new supergroup Distress Signal, a full crew showcase from local label AFT and the trusted Blast DJs. Plus room two news coming very soon..
Earlybird tickets available now only £13.50!! !